Head lice are a nuisance that no parent wants to have to deal with, but sometimes you have no choice. Whether it’s a school nurse who finds an infestation on your child or you see them on your own, it’s always a disturbing thing to find. While not dangerous in that they don’t spread disease, they can still be an annoyance as well as an embarrassment to some parents. 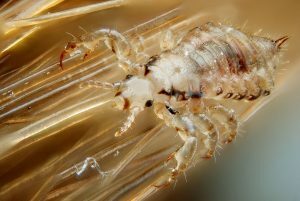 Lice are small, parasitic insects that feed on the blood just under the scalp. Their eggs, which are known as nits, are very small and are attached to the bottom of hair shafts with a glue-like substance. This makes them very hard to remove. Lice and nits are frequently found on children because the lice spread easily through head-to-head contact, and kids are constantly coming into contact with other children while playing. If you discover lice on your child or children, you may not be sure how to handle it. Some parents may attempt to use over-the-counter head lice treatments without realizing that lice have grown immune to the toxins used in these products. Home remedies are similarly ineffective and can also be so involved that they can seem worse than the head lice problem. Fortunately for you and any of your infested family members in need of head lice removal, Toms River NJ offers one of the best lice removal services in New Jersey at the Lice Lifters Treatment Center. At Lice Lifters Tom’s River, we take the problem of head lice seriously. Our trained and friendly lice technicians utilize a process that is 99.9 percent effective at eliminating the live lice and their nits. Our lice removers start by performing a head check to ensure that lice is the problem that you or any family members actually have. We then use a special process that removes all of the nits. Finally, the Lice Lifters, all-natural killing agent is applied to the head. The solution is extremely effective against the lice but completely non-toxic and pesticide free for your child. At our lice treatment center Ocean County residents will find a family-friendly place of business where our customers come first. Whether you live in Toms River, Lakehurst, Manchester Township, Jackson, Seaside Heights or Long Beach Island, we are conveniently located for your family. We treat your entire family at once, so your waiting time is minimized. We provide a great atmosphere for children, and best of all, we get your infested family members lice free after one visit. If you’re seeking head lice removal Toms River NJ offers the perfect solution with our service. When you need fast, effective, affordable lice removal services, you won’t find better than our friendly and efficient lice removers. Please contact us today, so we can have you and your loved ones lice free and back to enjoying life at its fullest.